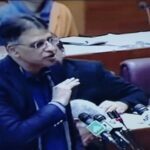 KARACHI: The income tax law has explained separately for computation of profits and gains from exploration and production of petroleum in Pakistan. Federal Board of Revenue (FBR) recently updated Income Tax Ordinance, 2001 and explained the fifth schedule of the Ordinance under which rules have been defined. 1. Where any person carries on, or is treated as carrying on, under an agreement with the Federal Government, any business which consists of, or includes, the exploration or production of petroleum in Pakistan or setting up refineries at Dhodak and Bobi fields, income of exploration and production companies from pipeline operations, and manufacture and sale of liquefied petroleum gas or compressed natural gas, such business or part thereof, as the case may be, shall be, for the purposes of this Ordinance, treated as a separate business undertaking (hereinafter referred to as “such undertaking”) and the profits and gains of such undertaking shall be computed separately from the income, profits, or gains from any other business, if any, carried on by the person. 2 (1) Subject to the provisions of this Part, the profits and gains of such undertaking shall be computed in the manner applicable to income, profits and gains chargeable under the head “Income from Business”. (2) Where such person incurs any expenditure on searching for or discovering and testing a petroleum deposit or winning access thereto but the search, exploration, enquiry upon which the expenditure is incurred is given up before the commencement of commercial production, the expenditure allocable to a surrendered area or to the drilling of a dry-hole shall be treated as lost at the time of the surrender of the area or the completion of the dry-hole, as the case may be. (b) the said loss in any year shall be set off against the income of such undertaking of the tax year in which commercial production has commenced and where the loss cannot be wholly set off against the income of such undertaking of that year, the portion not set off against the income, if any, of such undertaking of that year, and if it cannot be wholly so set off the amount of loss not so set off shall be carried forward to the following year, and so on, but no loss shall be carried forward for more than ten years. (4) After the commencement of commercial production, all expenditure incurred prior thereto and not treated as lost under sub-rule (2) and not represented by physical assets in use at the time the commercial production shall be allowed as a deduction, so, however, that the portion of such deduction to be so allowed in any year shall be such amount not exceeding ten per cent of the aggregate amount deductible in respect of onshore areas, and not exceeding twenty five per cent for offshore areas, as may be selected by the taxpayer. (c) a depreciation deduction shall also be allowed under section 22 in respect of such expenditure incurred on the acquisition of the physical assets acquired before the commencement of commercial production and were being used by such undertaking on and after that date, as if such assets had been acquired at the time of the commencement of commercial production at their original cost, as reduced by the amount of depreciation deduction, if any, previously allowed to be deducted under this Ordinance. (6) If, in any year, the deductions allowed Part IV of Chapter III and sub-rules (3) and (4) exceed the gross receipts from the sale of petroleum produced in Pakistan, such excess shall be set off against other income (not being dividends) and carried forward in the manner and subject to the limitations in section 57, so however that no portion of such excess shall be carried forward for more than six years. (7) The limitation of six years specified in sub-rule (6) shall not apply to depreciation allowed to a person carrying on the business of offshore petroleum exploration and production, in respect of any machinery, plant or other equipment used in such exploration or production. (8) For the purposes of section 22, where any asset used by a person in the exploration and production of petroleum is exported or transferred out of Pakistan, the person shall be treated as having made a disposal of the asset for a consideration received equal to the cost of the asset as reduced by any depreciation deductions allowed under this Ordinance (other than an initial allowance under section 23). 3. In determining the income of such undertaking for any year ending after the date on which commercial production has commenced, an allowance for depletion shall be made equal to fifteen per cent of the gross receipts representing the well-head value of the production, but not exceeding fifty per cent of the profits or gains of such undertaking before the deduction of such allowance. 4. (1) The aggregate of the taxes on income and other payments excluding a royalty as specified in the Pakistan Petroleum exploration (Production) Rules, 1949 or the Pakistan Petroleum (Exploration and Production) Rules, 1986 and paid by an onshore petroleum and production undertaking on, or after, the first day of July 2001 to the Government in respect of the profits or gains derived from such undertaking for a tax year shall not exceed the limits provided for in the agreement, provided the said aggregate shall not be less than fifty per cent of the profits or gains derived by an onshore petroleum exploration and production undertaking and forty per cent of the profits or gains derived by an offshore petroleum exploration and production undertaking, before deduction of the payment to the Federal Government. (2) In respect of any tax year commencing on, or after, the first day of July, 2002, the aggregate referred to in sub-clause (1) shall not be less than forty per cent of the profit or gains derived by an onshore petroleum exploration and production undertaking before the deduction of payment excluding royalty paid by an onshore petroleum exploration and production undertaking to the Federal Government. (3) If, in respect of any tax year, the aggregate of the taxes on income and payments to the Federal Government is greater or less than the amount provided for in the agreement, an additional amount of tax shall be payable by the taxpayer, or an abatement of tax shall be allowed to the taxpayer, as the case may be, so as to make the aggregate of the taxes on income and payments to the Federal Government equal to the amount provided for in the agreement. (4) If, in respect of any year, the payments to the Federal Government exceed the amount provided for in the agreement, so much of the excess as consists of any tax or levy referred to in sub-clause (b) of clause (3) of rule 6 shall be carried forward and treated, for the purposes of this rule, as payments to the Federal Government for the succeeding year, provided that the whole of the payments to the Federal Government exceeding the amount provided for in such agreement may be carried forward if so provided for in any agreement with a taxpayer made before the first day of 1970. Provided also that this option is available only for one time and shall be irrevocable. 4A. Decommissioning cost.— With effect from the Tax Year 2010, “Decommissioning Cost” as certified by a Chartered Accountant or a Cost Accountants, in the manner prescribed, shall be allowed over a period of ten years or the life of the development and production or mining lease whichever is less, starting from the year of commencement of commercial production or commenced prior to the 1st July, 2010, deduction for decommissioning cost as referred earlier shall be allowed from the Tax Year 2010 over the period of ten years or the remaining life of the development and production or mining lease, whichever is less. 5. The Board may make rules for the purposes of any matter connected with, or incidental to the operation of this Part. (8) “well-head value” shall have the meaning assigned to it in the agreement between the Federal Government and the taxpayer, and in the absence of any such definition in the agreement, the meaning assigned to it in the Pakistan Petroleum (Production) Rules, 1949, or the Pakistan Petroleum (Exploration and Production) Rules, 1986.